How do you say something without saying a word? By wearing these pretty earrings! They are so noticeable that every single time I've worn mine, someone has stopped me and said they like my earrings! 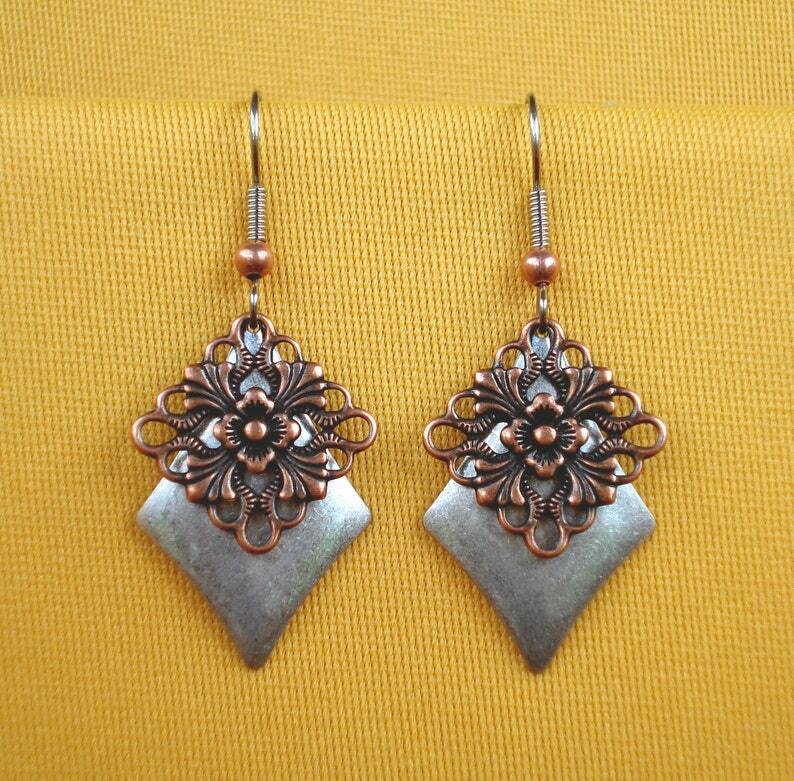 A pretty filigree copper plated square hangs in front of a long antique silver diamond. The earwire is surgical steel with a copper bead. This pair is extremely lightweight but you'll remember you have them on from the sweet tinkling sound they make. They are almost 2" long and 3/4" across. Love this custom pendant Diana made to go with the earrings!The pic I took does not do this pendant justice. It is just gorgeous!